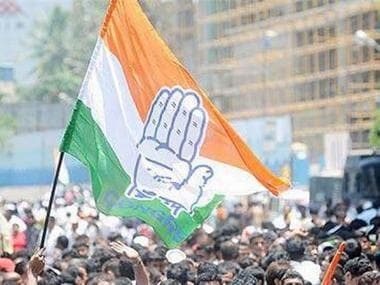 Raipur: The constituencies with a high population of Scheduled Tribe (ST) and Scheduled Caste (SC) communities in Chhattisgarh, have contributed hugely in steering Congress towards a thumping victory in the state. The state has 29 seats- in the 90-member assembly-reserved for ST candidates, and the Congress won 25 of them, besides bagging seven of ten SC reserved seats. Both the leading parties- BJP and Congress had been focusing on the tribal region- Bastar (south) and Surguja (north)- ahead of the polls to woo tribal communities that comprise around 32 per cent of the state's population and said to have always influenced the outcome of the assembly polls. Despite winning 18 of the 29 tribal- reserved seats in 2013 polls, Congress had failed to form a government in the state. However, this time it has improved its tally and won 25 of the total number of ST seats. The BJP, which had won 11 ST reserved seats in the previous polls, finished with just three this time. Former chief minister Ajit Jogi, who heads the Janata Congress Chhattisgarh (J), has won Marwahi (ST) this time. In the previous poll, his son Amit Jogi had won this seat as a Congress candidate. 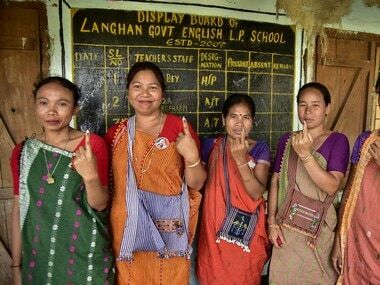 In the 2008 assembly election, the BJP had formed the government by winning 50 seats (out of 90) with the blessings of tribals as it had won 19 out of 29 ST reserved seats, while the Congress had won only 10 ST seats in 2008. 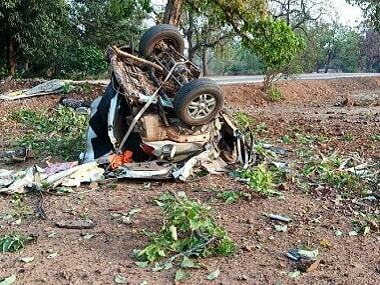 Three ministers from the erstwhile Raman Singh government, who hail from a tribal community, have lost this time. 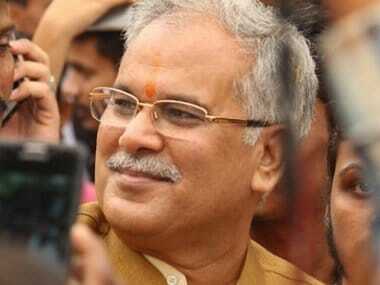 Forest minister Mahesh Gagda lost at the hands of Congress' Vikram Mandavi by 21,584 votes in Bijapur (ST) seat. School Education minister Kedar Kashyap was defeated by Congress' Chandan Kashyap by a margin of 2,647 votes in Narayanpur-ST. Home Minister and a prominent tribal leader Ramsevak Paikra was defeated by Congress' Premsai Singh Tekam by 44,105 votes in Pratappur seat. Similarly, SC vote bases shifted significantly to the Congress during this poll. The Congress has won seven out of ten SC reserved seats this time, which was just one in the 2013 polls. SCs make up roughly about 12 percent of the state's population. They are largely settled in the plains. A majority of the SC population follow the Satnami sect. 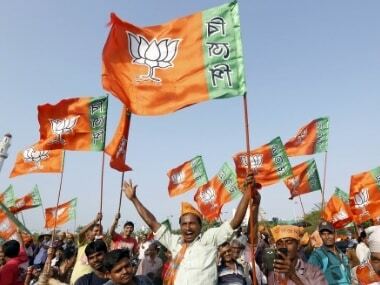 The BJP has managed to win only two SC seats, seven less than what it had won in the last polls. However, it has snatched Masturi (SC) seat from the incumbent Congress MLA this time. Bahujan Samaj Party's (BSP) woman candidates Indu Banjare has won one SC seat- Pamgarh this time. Cooperative Minister Dayaldas Baghel was defeated by Congress' Gurudayal Singh Banjare by 33,200 votes in Navagarh (SC) seat. According to the political observers, anti-incumbency factor, coupled with promises made by the Congress in its manifesto- particularly for farmers, helped it in weaning away SCs and STs from the BJP in the recently concluded polls. The Congress has registered a landslide victory in Chhattisgarh polls, winning 68 seats in 90-member House. The BJP was reduced to just 15 seats, while the Ajit Jogi led JCC(J) managed to win 5 seats. Jogi's ally BSP has won two seats. In the 2013 Assembly polls, the BJP had won 49 seats, the Congress 39, while one seat each was bagged by the BSP and an independent.